Sir Henry wrote: Yes and no. Yes you can post pictures directly but it will fill up the bandwidth fast if everyone does it. So no we still need the majority of people to use Photobucket. Got it. I'm sure you'll let us know if and when it might change. Thanks. CT_Shooter wrote: If it works, as I expect it will, it may mean that the hosting service that Daytime Dave and Sir Henry are paying for also provides enough storage to completely eliminate the need for Photobucket. Is that true, Dave? Sir Henry? I would also have deleted the image from this post, but the edit icon is missing. You don't need to edit any photos from your computers. I will have to look closer for what I signed up for. For now, post away. I can always buy more. You hit the bullseye on that. A lot of us know each other for years but we have also received a few great new friends. 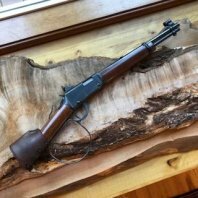 I just dropped in at rimfire and saw a post that the old Henry site is back up. Checked in there and sure enough it is back up. Too little and too late, I can't see the "old forum" growing anymore . Yeah, I just logged in over there and checked it out. Now I am a bit confused. Deadwood Dutch wrote: Yeah, I just logged in over there and checked it out. Now I am a bit confused. Does anyone else belong to Graybeard Outdoors? I posted a question about a feeding issue with a Big Boy in .357 there and on the old site. The old site generated more responses so I gravitated more toward it and then it shut down and I found this site via Rimfire Central and here I am. I thought it was interesting that there was no mention on the Graybeard site about the old site shutting down for a brief time.